In the days before we had the internet and DVD's, we had to rely on whatever TV churned out for us. 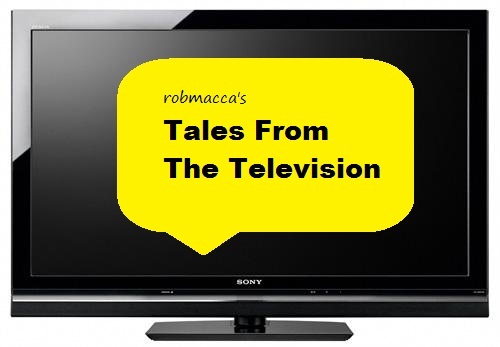 In this episode of robmacca's 'Tales From The Television' find out what programmes you recognise. You might even be familiar with the tune playing in the background! 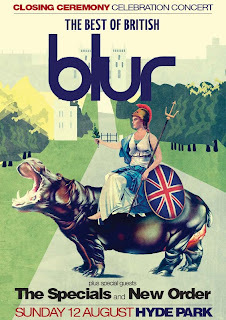 The Specials will be joining Blur and New Order for the closing Olympic Ceremony in London on Sunday 12th August 2012 it has been confirmed today (21/02/12). The Coventry 2-Tone band will feature as part of the 'Best of British' celebration concert, which will be seen by millions around the world. Fans will be able to register for tickets on the BT London Live website - prices will be announced soon. Team GB are hoping to do well in the upcoming Olympic Games in London, but let's hope they don't follow the route of Great Britain in Jeux Sans Frontières. Week after week team GB would finish near the bottom of the table. The latest video looks back at It's A Knockout and Jeux Sans Frontières and how fun TV can help unite families. British singer Adele won six Grammy Awards at the emotional ceremony held in Los Angeles as the entertainment industry remembered the tragic death of Whitney Houston. 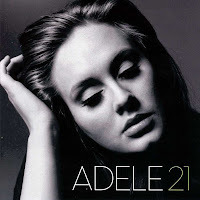 Adele also performed during the 54th Grammy Award ceremony after winning Record of the Year, Album of the Year, Song of the Year, Best Pop Solo Performance, Best Pop Vocal Album and Best Short Form Music Video. American rockers the Foo Fighters were the other main winners of the night. 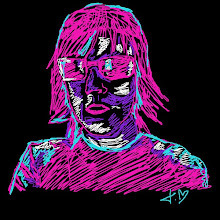 BEST POP SOLO PERFORMANCE - Adele "Someone Like You"
BEST ROCK ALBUM - Foo Fighters "Wasting Light"
BEST POP DUO - Tony Bennett and Amy Winehouse "Body and Soul"
BEST POP VOCAL ALBUM - Adele "21"
BEST RAP ALBUM - Kanye West "My Beautiful Dark Twisted Fantasy"
BEST POP INSTRUMENTAL ALBUM - Booker T. Jones "The Road From Memphis"
BEST DANCE RECORDING - Skrillex "Scary Monsters and Nice Sprites"
BEST DANCE/ELECTRONICA ALBUM - Skrillex "Scary Monsters and Nice Sprites"
BEST TRADITIONAL POP VOCAL ALBUM - Tony Bennett & Various Artists "Duets II"
BEST ROCK PERFORMANCE - Foo Fighters "Walk"
BEST HARD ROCK/METAL PERFORMANCE - Foo Fighters "White Limo"
BEST ROCK SONG - Foo Fighters (songwriters) "Walk"
BEST ALTERNATIVE MUSIC ALBUM - Bon Iver "Bon Iver"
BEST R&B PERFORMANCE - Corinne Bailey Rae "Is This Love"
BEST TRADITIONAL R&B PERFORMANCE - Cee Lo Green & Melanie Fiona "Fool for You"
BEST R&B SONG - Cee Lo Green, Melanie Hallim, Jack Splash (songwriters) "Fool for You"
BEST R&B ALBUM - Chris Brown "F.A.M.E"
BEST RAP PERFORMANCE - Jay-Z & Kanye West "Otis"
BEST RAP/SUNG COLLABORATION - Kanye West, Rihanna, Kid Cudi & Fergie "All of the Lights"
BEST RAP SONG - Jeff Bhasker, Stacy Ferguson, Malik Jones, Warren Trotter & Kanye West (songwriters) "All of the Lights"
BEST COUNTRY SOLO PERFORMANCE - Taylor Swift "Mean"
BEST COUNTRY DUO/GROUP PERFORMANCE - The Civil Wars "Barton Hollow"
BEST COUNTRY SONG - Taylor Swift (songwriter) "Mean"
BEST COUNTRY ALBUM - Lady Antebellum "Own The Night"
BEST NEW AGE ALBUM - Pat Metheny "What's It All About"
BEST IMPROVISED JAZZ SOLO - Chick Corea "500 Miles High"
BEST JAZZ VOCAL ALBUM - Terri Lyne Carrington & Various Artists "The Mosaic Project"
BEST JAZZ INSTRUMENTAL ALBUM - Corea, Clarke & White "Forever"
BEST LARGE JAZZ ENSEMBLE ALBUM - Christian McBride Big Band "The Good Feeling"
BEST GOSPEL/CONTEMPORARY CHRISTIAN MUSIC PERFORMANCE - Le'Andria Johnson "Jesus"
BEST GOSPEL SONG - Kirk Franklin (songwriter) "Hello Fear"
BEST CONTEMPORARY CHRISTIAN MUSIC SONG - Laura Story (songwriter) "Blessings"
BEST GOSPEL ALBUM - Kirk Franklin "Hello Fear"
BEST CONTEMPORARY CHRISTIAN MUSIC ALBUM - Chris Tomlin "And If Our God Is for Us..."
BEST LATIN POP, ROCK, OR URBAN ALBUM - Mana "Drama y Luz"
BEST REGIONAL MEXICAN OR TEJANO ALBUM - Pepe Aguilar "Bicentenario"
BEST BANDA OR NORTENO ALBUM - Los Tigres Del Norte "Los Tigres Del Norte and Friends"
BEST TROPICAL LATIN ALBUM - Cachao "The Last Mambo"
BEST AMERICANA ALBUM - Levon Helm "Ramble at the Ryman"
BEST BLUEGRASS ALBUM - Alison Krauss & Union Station "Paper Airplane"
BEST BLUES ALBUM - Tedeschi Trucks Band "Revelator"
BEST FOLK ALBUM - The Civil Wars "Barton Hollow"
BEST REGIONAL ROOTS MUSIC ALBUM - Rebirth Brass Band "Rebirth of New Orleans"
BEST REGGAE ALBUM - Stephen Marley "Revelation Pt. 1: The Root of Life"
BEST WORLD MUSIC ALBUM - Tinariwen "Tassili"
BEST CHILDREN'S ALBUM - Various Artists "All About Bullies ... Big and Small"
BEST COMEDY ALBUM - Louis C.K. "Hilarious"
BEST MUSICAL THEATER ALBUM - "The Book of Mormon"
BEST SHORT FORM MUSIC VIDEO - Adele "Rolling in the Deep"
BEST LONG FORM MUSIC VIDEO - Foo Fighters "Foo Fighters: Back and Forth"
As predicted, The Artist became the winner of this years BAFTA Awards in London. Winning Best Film, Director, Original Screenplay, Leading Actor, Original Music, Cinematography and Costume Design. In other news, Meryl Streep lost her shoe but Colin Firth saved the day! Over the years television has given us numerous catchphrases and many TV personalities are known for their one liners. Back in the day before we had the Internet and satellite or cable TV - as children had few programmes to choose from so we had to make the most of what we had. Looking back now, it's easy to think the programmes were tacky or 'dated' but hidden inside each show were real gems. From the outrageous Tiswas to the energetic Runaround in the late 70's early 80's - we grew up loving the fun they bought into our young lives. Getting home from school and putting the TV on was tradition we grew up with. Cartoons provided hours of entertainment and captivated our imagination from both the UK and US, as this tale looks back at the unforgettable Dangermouse and He-Man.